The WFS 18th National Training & Development weekend was held at the Fire Service College on 8-10 June 2018. The theme for the weekend was entitled ‘Building Confidence for a stronger future’ and was sponsored by Bristol Uniforms Ltd, Rosenbaur UK Ltd and PBI Performance Products, Inc. Guest speakers at the Friday opening ceremony were Dany Cotton, Commissioner of London Fire Brigade and Moira Cameron, Yeoman Warder of the Tower of London – the UK’s first female beefeater. Both gave delegates a great insight into their career journeys which set the tone for the weekend. The evening also included the WFS Award Presentations and we were delighted to present WFS Awards to Kathryn Billing (Bronze), Steve Taylor (Bronze) and Bristol Uniforms Limited (Bronze). Congratulations to you all. During the weekend, practical sessions on offer included learning about fire behaviour, urban search and rescue, incident command, first aid skills, multi incidents, be a firefighter and drive an appliance, firefighter fitness test. There was also a range of other sessions aimed at widening people’s skills and improving well-being include reducing stress and sleeping well, authentic conversations interview techniques, fitness for women and public speaking. “I took part in the advanced trauma training, we were able to ask lots of questions and took part in practical scenarios , it was so nice to practice in a supportive and relaxed atmosphere with everyone encouraging each other and no test at the end. Nicky Thurston and Assistant Chief Fire Officer Mark Andrews took the opportunity to promote HeForShe. HeForShe is inviting people around the world to stand together to create gender equality. East Sussex Area Group Manager for Hastings and Rother Julie King is also Vice Chair of the Women in the Fire Service. The organisation is made up of individuals working in the Fire and Rescue Services, who share a vision for the future, and are proactive in making that vision a reality. 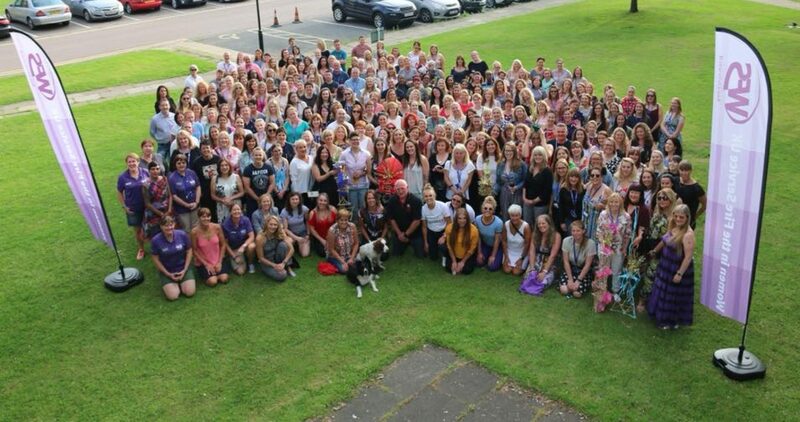 Its vision: To work with Fire and Rescue Services in developing a culture of equality of opportunity and to support all women in achieving their full potential within it.